Woven of durable cotton twill in an oatmeal hue. 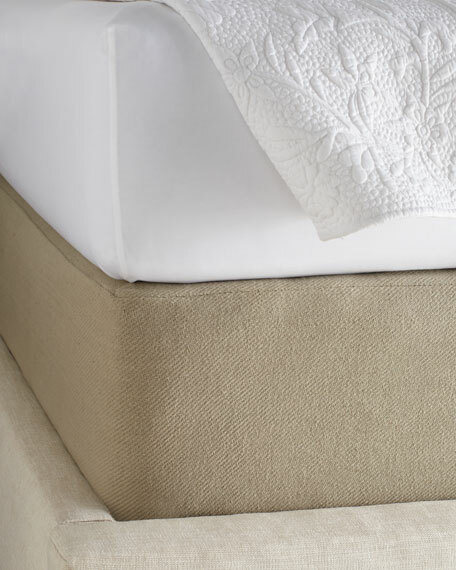 Queen box spring cover, 62" x 83". 15" pocket, with deck overlap. For in-store inquiries, use sku #246365.